After Disney’s underperformance last week with the release of “Dumbo,” the box office rebounded this weekend thanks to the help of a child superhero. “Shazam!”, the latest DC Comics release from Warner Bros. that follows a boy who turns into a Superman-like hero whenever he says the word “Shazam“, won the box office with an estimated $53.4 million domestically. Opening on over 4,200 screens, the lighthearted movie that’s a mix between “Big” and “The Goonies” was a must-see for fans of the comic as well as the general superhero moviegoer, which felt confident of a good time with the movie’s 91% Rotten Tomatoes score. Things went well for “Shazam!” even before this weekend. Fandango’s preview screenings of the movie two weeks ago brought in $3.3 million on 1,200 screens. That bested similar preview screenings for movies like “How to Train Your Dragon 3” ($2.6 million) and “Aquaman” ($2.9 million). And things only got better for the movie in the last few days. 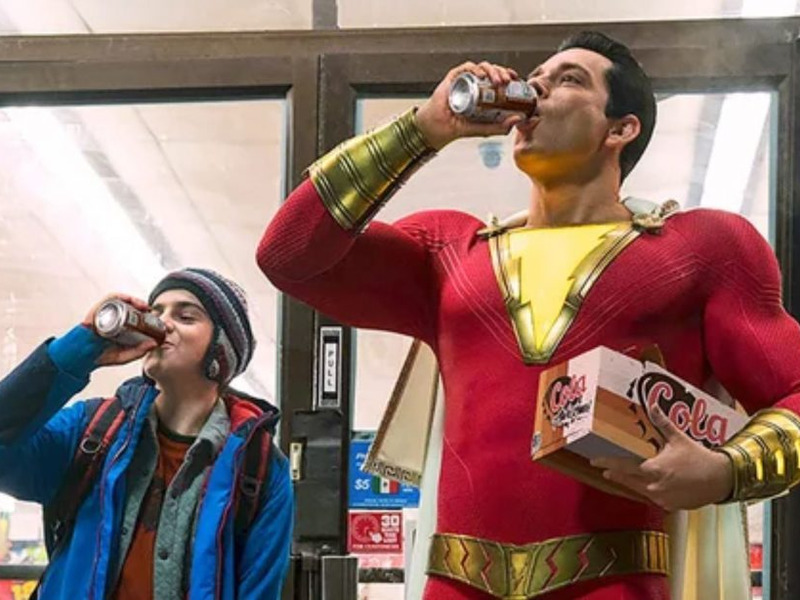 On Friday, “Shazam!” earned $20.5 million, including $5.9 million from Thursday preview screenings. Adding the Fandango screenings, “Shazam!” has a domestic cume of $56.7 million. The global cume for “Shazam!” is over $158 million. Though Warner Bros.’ DC Comic releases can’t be compared to the global phenomenon that Marvel Studios’ titles are for Disney, the “Shazam!” success is the latest indication that WB is figuring out how it can coexist with Marvel in the marketplace. Pulling back on making all its movies coexist in a universe, the studio is finding success in individual franchises like “Wonder Woman” and “Aquaman.” And there’s more to come, as WB showed in its presentation at CinemaCon this past week with its “Birds of Prey,” “Joker,” and “Wonder Woman 1984” releases coming soon. Meanwhile, horror fans came out for the latest adaptation of Stephen King’s classic, “Pet Sematary.” Paramount’s $21 million-budgeted release brought in an estimated $25 million to come in second place.